Letters From A Tapehead: Jah Wobble & Keith Levene: "Yin & Yang"
Jah Wobble & Keith Levene: "Yin & Yang"
Jah Wobble and Keith Levene, the Public Image Ltd. twosome that brought to life the pinnacle release, Metal Box, have partnered on a new album called, Yin & Yang. You can check out the profanity-enriched new title track here. And, if you need to reminded how well these two worked together on Metal Box, or if you just want an excuse to treat your ears to post-punk excellence, the full album is available below. All info comes courtesy of MVD Entertainment. 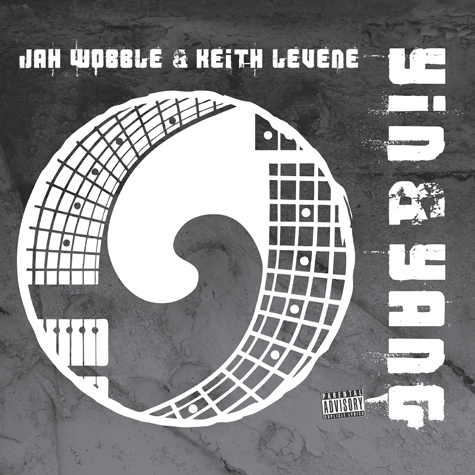 Due for release on Cherry Red Records (via MVD in North America) on December 11, Yin and Yang is the first full-length collaboration by PIL founding members Jah Wobble and Keith Levene since the landmark 1980 album Metal Box. Below, Jah Wobble spills the beans on the making of the album. "I reunited with Keith a couple of years ago. He was off smack and keen to play again. We had a bash in a rehearsal room and it went well. To start with I got him to play on three tracks of the album, (Psychic Life) that I was making with Julie Campbell (Lonelady). Since then we have performed 'Metal Box in Dub' live. These shows were very well received. As far as I was concerned he was back and on top of his game again. I thought it would be a good idea to go and record some new material. I wasn't sure what we would come up with. As we proceeded, in a very relaxed fashion, the realisation dawned on me , that we were making music that was linked to psychedelic music (especially the British variety), of the swinging sixties through the mid seventies that we both would have been exposed to when we were young. (Albeit our stuff has a spiteful post modern edge to it, I must admit it was a good, (if rather juvenile), laugh referring to myself, (and the listener) as a c*** , as well as eulogising about my beloved Jags and Staffs in the mist of a psychedelic onslaught). Bands such as Hawkwind and the Pretty Things spring to mind. Our 7/4 version of George Harrison's 'Within/Without you' reminds me of Cream, in its wild approach and execution. There are elements of Americana in 'Yin and Yang' as well. Check out the Keith's acoustic work on the dubby Appalachian flavoured 'Strut' . Likewise listen to the Southern States R&B of 'Mississippi', especially the baptist church organ of the multi-talented Jonas Persson. But my favourite track is the moody instrumental 'Back on the Block', just listen to the controlled anger of Keith's electric guitar. When Keith and I performed Metal Box In Dub I invited my regular trumpet player Sean Corby along. I knew that he would help inject an element of 'Electric period Miles' into the mix. Not long after we had finished recording Metal Box back in 1979 I heard Miles Davis's Dark Magus. Well, it absolutely blew me away. Talk about cathartic moments. Since then I had dreamed of introducing trumpet into compositions such as 'Graveyard' and 'Memories'. Sean steals the show on 'Fluid', my old friend 'Little Annie' does the same on 'Vampires'. Marc Layton-Bennett, my regular drummer, plays like a demon throughout. The track 'Understand' features Nathan Maverick on vocals. He is the singer that we employed to handle vocals on the Metal Box in Dub performances. I was determined to get him to help write a song for this album. And the boy did good. He really reminds me of someone. Just can't quite put my finger on who it is."